Exchange Server is a great communication platform rendering organizations with a collaborative environment. Despite being able to store a bulk of mailboxes in it, the Exchange Database also tends to fill up at some point. Therefore, the server comes with the provision of archiving. However, managing these archives becomes a difficult task, with their storage on different locations due to lack of storage space on a single machine. Only the host machine credentials of the network are required that enables the software to find connected machines and list them. Users get the option to customize their file search process by choosing a specific or all drives to perform the search on. Get detailed information about files found within the selected machine including name, path, size, etc. Post searching connected machines and locating files within them the software enables to save EDB files to a common machine. EDB files found by the software are listed with a checkbox that enables users to perform a selective saving of the files. 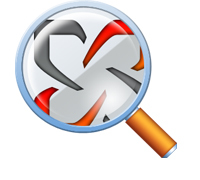 The software generates a complete report of all the searched and saved files, this can further be saved as a CSV file. Exchange EDB Finder is available as a freeware version that enables users to find machines sharing the common network. However, as part of the demo limit users are not given the provision to save the searched EDB files. Exchange database is meant to store the mailboxes of server forest to which it is connected. Each mailbox belongs to a locally connected user that communicates using the Exchange Server services. Inside these mailboxes are emails exchanged by the user, personal information maintained like; contacts, calendars, tasks, notes, and more. Therefore, the size of database gradually increases leading to archiving on a frequent basis. This results in the pile up of databases on several machines making it difficult for the administrators to manage server DBs conveniently. Exchange database finder helps in a condition like this. The software can be used for locating the machines that are connected to the available network domain. Further, the machines can be searched for availability of EDB files on them that can be moved to a common machine. EDB files can be moved in bulk from the searched machine to the target machine in batch quantity. Being a complete administrative application, the tool is a must-have for an Exchange Server admin to make manageability tasks easier. There are a limited number of applications that are built to similar functionalities. However, EDB finder got its place and reputation in the online market due to the easy file moving option it provides from one machine to another. Other applications of similar potential either do not give out matching results or are not as convenient as this tool. Will the tool be able to locate all the machines storing EDB? The tool is built to locate machines that share the same network domain environment. However, the application allows you to search for EDB files and save the listed ones. Is there a way to save only a few EDB files and not all? Yes, you can do so using the checkboxes provided. The software lists searched files with checkboxes against each. You can select the files you want to move and proceed. How will I keep track of the files saved and the ones not saved? The software generates a report of the saved files automatically at the end of the processing. You can save this report as a CSV file which will help in future reference purpose.